Read about awesome teams we're working with below! Boresha - a kiswahili word meaning ‘optimise’ or ‘connect’ - was founded by Francis, Alexandre, and James in late 2017. Entering Rhodes Incubator as an early-stage concept, Boresha launched its financial services platform for East Africa in January 2018. The model: Boresha leverages relationships between small farmers and the aggregators who buy produce, in order to facilitate low-risk lending to both parties. Boresha is positioned to facilitate the lowest-interest, lowest-friction loans for smallholder farmers in the informal dairy sector. We are developing and disseminating an evidence-based mobile intervention for LGBTQ+ mental health in young people. Our team is passionate about improving the mental wellbeing of underserved and stigmatized people; collectively, we have experience in psychology, public policy, and medicine, and plan to use this to develop an engaging and impactful mobile intervention. Our team is working to develop the lowest cost, most user-friendly electric bike kit. The entirely self-contained device electrifies a standard commuter bike within seconds and requires no tools to install or remove. We seek to provide an inexpensive, entry-level option to the world of clean, electric mobility. 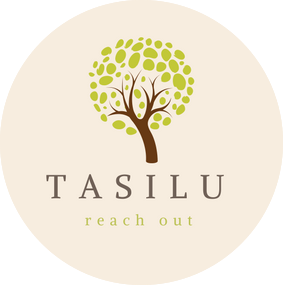 Grassroots powered and community based, Tasilu matches refugee families with top-notch English and academic tutors. Not just a tutoring service, we pride ourselves on building friendships as well as English skills. We link families with tutors, refugees with locals, and communities with student populations. We act as a platform through which those who need help, and those who need a way to help, connect. Hutano Diagnostics develops rapid diagnostic tests for viral disease diagnosis in Africa. The first tests that we are developing is one for Ebola diagnosis. The Scene is an educational news website for young people between the ages of 13 and 16 that aims to inspire socially conscious young adults. We redesign the way that news is transmitted and presented to young people by curating and adapting multimedia content that is current and cutting-edge to drive curiosity, awareness and action. This initiative encourages young people to become open-minded and exposes them to a culture of literacy, critical thinking and global citizenship. reDIRECT is a media outlet that publishes in-depth opinion pieces and rebuttals in order to increase nuance and encourage the evolution of ideas in public debate. Fringe Online is a user-friendly website/app that provide an easy access to key information about fringe theatre for the general public, highlighting a reviews-based rating system with diverse-themed categorization. It aims to support emerging fringe theatre artists while making fringe theatre more accessible. Khaya Means Home is a social enterprise which seeks to offer variety gift and subscription personal hampers of locally made African products to international consumers via online sales. We're passionate about raising income levels of individuals and communities in Africa, by sourcing and manufacturing everything directly from the continent and its many talented and creative people. Our focus is not only quality, exclusive products for your loved ones on their special occasions, but also improving the economic well-being of Africans. Our goal is to make the hair experience more accessible to diverse markets through retail innovation. Our team has personally experienced the problems and issues facing diverse consumers, and will apply that lived experience to addressing the most acute problems in the retail space. In doing this, we will build off the expertise of technical, retail and logistics team members. We are working on the conceptualization and creation of an online platform which operates to connect nurses to clients in homebased and community settings. This is an intervention which seeks to better utilize nurses in the low-resource settings (Urban-Kenyan) and promote viable options for healthcare management in the country. We are working on new ways for students to plan and prepare meals on a weekly basis, in order to reduce grocery costs and save time. Starting with meal planning optimization, we hope to better understand the barriers to healthy food choices for university students. Ultimately, we would like to connect local food producers and grocery retailers to students to streamline delivery. Our objective is to highlight the importance of education and grades and make this a part of the daily discourse for Black/African-American male students. We leverage the barbershop, a hub of cultural exchange in Black/African-American communities, to provide students who bring in each other’s report cards free haircuts, as well as connect them with professionals who were born and raised in the same community, are accessible, and demonstrate a commitment to professional success and giving back to others.